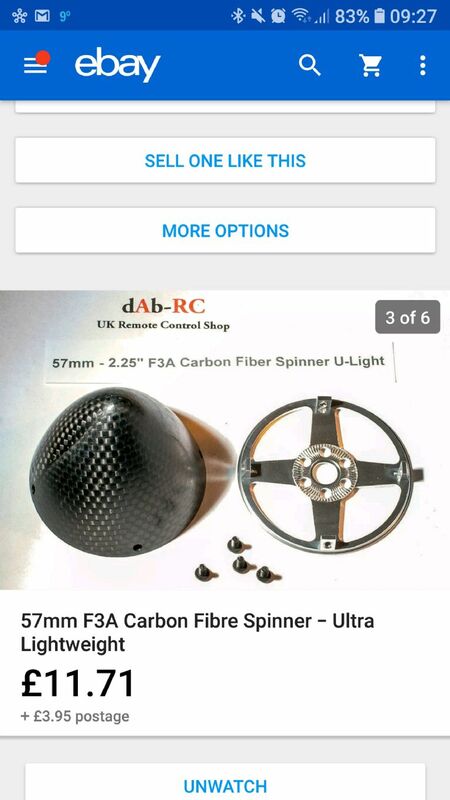 Can I use carbon a carbon spinner with an ali back plate on a asp 91? Are going to hand or leccy start the motor? If the latter then that backplate looks a bit flimsy to me. Both back plate does seem stiff and ok just never used a carbon one, just like the look!! Carbon spinners are quite common on petrol setups, but I'd agree with Ron about that backplate and electric starters. The Irvine branded and similar ali backplate spinners have a lot more meat than the one pictured but I've seen several of those distorted by the pressure of electric starting. 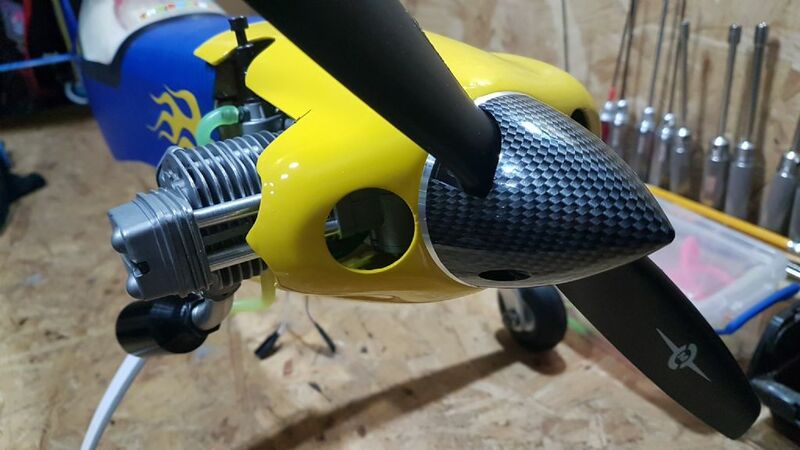 Andy, those spinners are designed for electric powered 2 mtr aerobatic aircraft - that's the F3A designation. Not at all suitable for IC power as Ron has already intimated. I have been using the Irvine version on .91 - .120 fs, look good and work a treat. Were half the price as well!. Thanks again Simon, good shout! Mmmm, not sure how well that backplate might take repeated electric starter application..........As mentioned earlier, it looks as though it's intended for electric models.